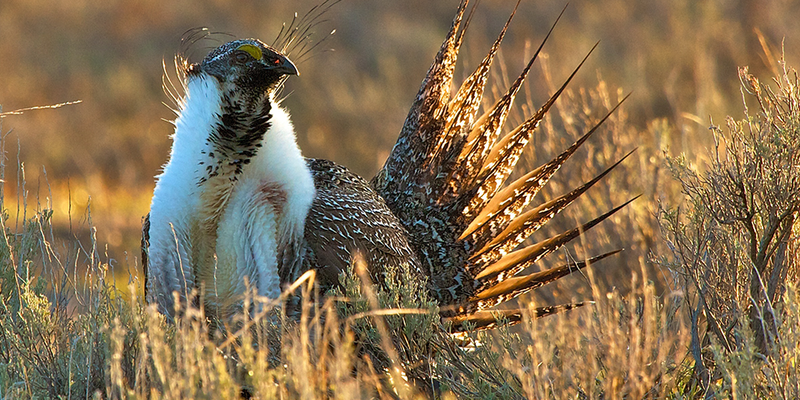 In honor of NPLD, CCA is partnering with The Nature Connection to recruit Youth Outdoor Network students to help improve the habitat of Gunnison Sage-Grouse! Gunnison sage-grouse (Centrocercus minimus) is a threatened species, with only 130 birds left around Crawford near the Gunnison Gorge National Conservation Area, and only 4,000 left in all existence (most live in Gunnison basin). The recent Buttermilk wildfire burned over 700 acres of the Gunnison Gorge wilderness, some of which is designated an “Area of Critical Environmental Concern”. The sage brush that burned was a crucial source of food for the sage-grouse. Moreover, even in the unburned area, the sage brush areas are being encroached by juniper and pinyon trees, which are prime perching spots for sage-grouse predators! Raptors and red-tailed hawks tend to survey their prey from those trees, and the sage-grouse have evolved to have an innate aversion to tall trees in their habitat. Under the direction of BLM’s wildlife biologists and as a continuation of their habitat restoration project, Youth Outdoor Network students will help lop down juniper and pinyon saplings in an area vital to sage-grouse nesting and rearing the young. Students will not only learn how to handle big tools (shears) with care, but also how to work together to cover the necessary plots of land. They will learn interesting facts about the sage-grouse and they will also have an opportunity to get trained on BLM's tablet and using GPS coordinates in the field. Where: southwest of Crawford, at the intersection of Black Canyon Rd. and C77 Rd. For more information about the NPLD event, please e-mail Tatyana Sukharnikova at montrosevista@gmail.com or call 805-824-8681.